What's known as the holiday shopping hangover usually hits about now. That's when last month's credit card bills arrive, taking some consumers by surprise. It can be a big letdown, especially for those who made resolutions to improve their financial lives in 2018. According to a new Debt.com survey, 77 percent of consumers made financial-oriented New Year's resolutions this year. The survey also showed that the two biggest financial regrets consumers expressed involved credit scores. Forty-four percent said running-up credit card balances or maxing out cards hurt their credit score and was their number one regret. Coming in second at 23 percent were regrets about missing payments, which drags down credit scores. But these regrets are avoidable. Bruce McClary, vice president for communications at the National Foundation for Credit Counseling, says runaway credit card balances are a symptom of more serious financial problems. "If left untreated, it can lead to disaster on several fronts," McClary told ConsumerAffairs. "The best way to keep debt under control is to examine your spending patterns and look for ways to reduce dependency on credit cards." Using cash instead of credit cards can help establish more disciplined spending habits. The more you can do that, the more stable your financial life becomes. "Not only will you have fewer financial worries, you will save money on interest and your credit score might benefit as well," McClary said. Missing payments can also be avoided through careful tracking of expenses and when they are due. McClary says consumers who want to boost their credit scores would do well to focus on that first. 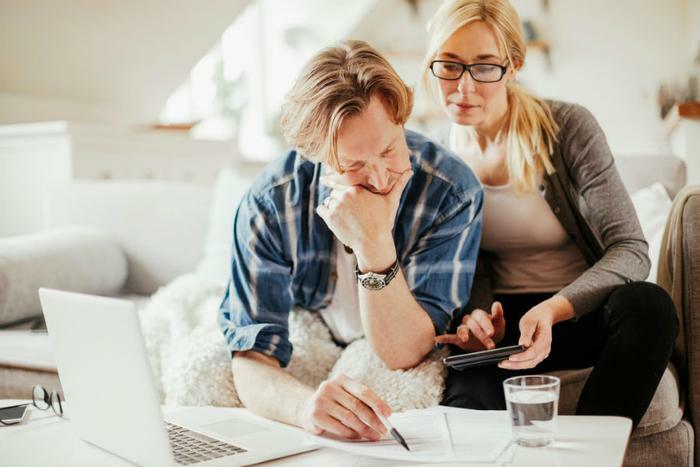 "Timely payments to your creditors can go a long way toward helping you achieve a top credit score, but missing a single payment can set you back a long way," he said. This is why it is advised that you do all that you reasonably can in order to keep your credit card and loan payments up to date." Trimming your household budget may help, but if it seems like you are not going to be able to stay on top of your bills, McClary says that it may be time to contact a non-profit credit counselor for help getting back on track. Eighteen percent of consumers said they regretted draining all of their savings to meet current needs or for a special purchase they had doubts about later. McClary notes that despite improvements in the economy, many consumers continue to struggle to put money away. "The best way to make progress in this area is to adopt the pay yourself first philosophy by making savings deposits a top priority over everything else," McClary said. "Once that habit is in place, consistency and positive reinforcement will get you to your savings goal." Remember, saving money isn't always easy. McClary said most consumers will face some setbacks along the way. Don't let those setbacks discourage you and always acknowledge your success when you reach a savings goal.